Belgium has introduced an unprecedented fee of €50 per semester for the security check of journalists attending EU summits. Moreover, the fee discriminates against journalists permanently residing in Belgium since those from abroad don’t need to pay the fee. In the announcement for the accreditation procedures for the 18 October EU summit, dated 30 July, the EU institution led by Donald Tusk stated that a new Belgian law foresees a €50 fee to be paid by employers of any individual undergoing security screening, for media representatives of Belgian nationality or residing in Belgium, since 1 June 2018. The screening currently has a validity of 6 months. The Council website says that an invoice will be sent to the journalists’ employer by the Belgian authorities, meaning that journalists don’t need to pay the fee themselves. With the exception of dictatorships, who charge for someone to accompany (and spy on) journalists, it is unprecedented that journalists would be asked to pay to be security-checked. Some 1,000 journalists covering EU affairs are permanently based in Brussels, and most of them attend EU summits, meaning that the Belgian authorities could cash in close to €50.000 per semester. Some 1,000 journalists covering EU affairs are permanently based in Brussels, and most of them attend EU summits, meaning that the Belgian authorities could cash in close to €50.000 per semester. 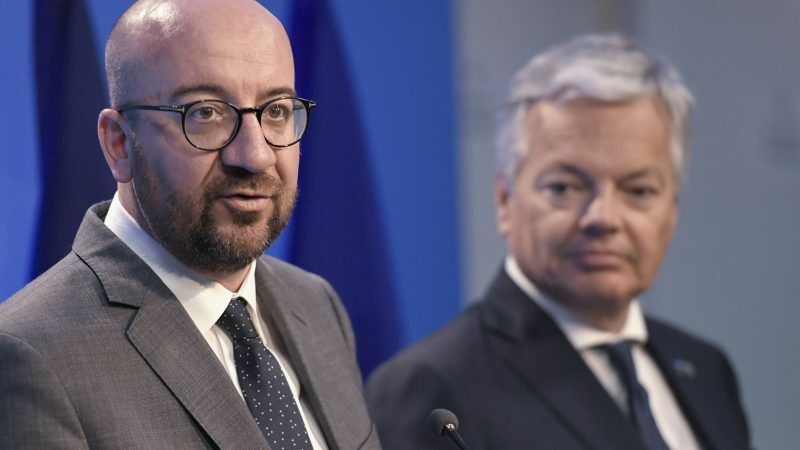 Belgium gets EU funds to the tune of many millions of euros per year for hosting EU summits, primarily for providing the necessary level of security. That make the decision by Charles Michel’s government to seek additional funding from the media community even stranger. The Council press services told EURACTIV that they were themselves surprised when they were informed about this new Belgian law a few weeks ago. They said they shared with the Belgian authorities that their “worry” about the discriminatory nature of the legislation, and also over the fact that the measure is unprecedented in its nature compared to any other international event. It also appears that the measure also concerns external contractual agents used by the Council services during summits. Those at least could charge back the Council their extra expense. The International Press Association (API-IPA), representing the interests of the foreign correspondents in Brussels, has protested against the Belgian summit fee. API considers the fee discriminatory, and also unfair with respect to free lancers and small media organisations, which will suffer from such a cost. API protests against Belgian €50 EU-summit security screening fee.